Revenge is a dish best served cold and ... on ice. Preferably, spiked with a bitter taste of family betrayals, geopolitical conflicts and memories, all starting in Reykjavik, in the land of ice and volcanoes. Tom Maremaa's daring, provocative novel begins on the day President Reagan is shot when Dylan Rose, a young rebel without a cause, undergoes a major change in life. He must grow up and choose to follow the events of the Cold War, leading him in time to the Reykjavik Summit between Reagan and Gorbachev in October, 1986. As a young journalist, he comes of age, and begins a quest that takes him to all corners of the globe.History pivots on the promise of the Summit while the Cold War leaders struggle to reach an agreement on limiting their staggering and deadly arsenals of nuclear weapons, with the world teetering on the brink of Armageddon. Astonishingly, the agreement hinges on a single word. Is that even possible?But there's more to come, like Dylan's chance encounter with his former teacher of Russian from Berkeley, a woman of remarkable intellect, a brash and brilliant woman, on the eve of the Summit. And her secret fling, which he later discovers, with a chivalrous Soviet nuclear scientist whose loyalty to his Kremlin masters is destined to come under fire.That's just the beginning of this rich and engaging family chronicle, with roots in Nabokov, Pamuk and Tolstoy, as recounted by the journalist - a novel that spans more than four decades of geopolitical turmoil and strife. 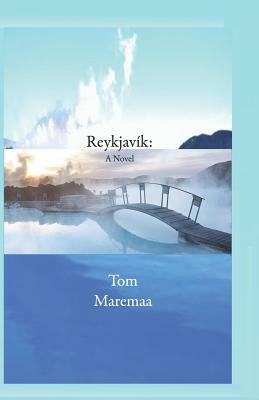 Reykjavik: A Novel takes us beyond the events of the Summit in Iceland, as we witness the fall of the Berlin Wall and eventual dissolution of the Soviet empire. History unravels when the Soviet Union comes apart, unleashing a fusillade of dark, violent forces. Oligarchs appear and take control. The teacher of Russian finds her life turned upside down in the years that follow, transformed forever. Intrigue and espionage play out - with devastating consequences - on the post-Cold War stage between America and the new Russian Federation.In the end, as readers, we come away from this richly detailed novel having experienced the world of love and geopolitics in ways we haven't seen or felt before.